Gene Ryan, president of the Baltimore F.O.P., which represents sworn personnel at the Baltimore Police Dept., has crafted a nine-page document sent to the DOJ’s Civil Rights Division, outlining how to improve things at the agency. Baltimore’s police union is calling on city and federal officials to include better training, more hiring, technology upgrades and whistleblower protections among the reforms in the consent decree they are negotiating following the release of the U.S. Department of Justice report on policing in the city. The leadership of F.O.P. 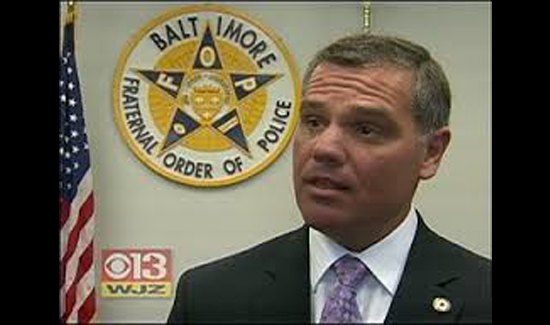 Lodge 3 in Baltimore also wants clearer policies, less focus on arrest and other statistics, faster investigations into complaints against officers, refurbished facilities, a scaled-back use-of-force policy and a “citizen academy” to teach local residents what it’s like to be a cop. And it asked the Justice Department to weigh in on the trend of local residents filming police encounters, suggesting it establish a rule requiring observers to remain a significant distance away from officers at all times. According to an article in the Baltimore Sun, the F.O.P. sent the recommendations in a nine-page document delivered to the Justice Department in mid-October. The union suggests it is uniquely positioned to help solve the “climate of dissatisfaction” it says has developed among its members and the broader community amid years of bad policy and unscrupulous department leadership.